1. Cartoonists often use exaggeration to make a point. What point is the cartoonist making through exaggeration? – What point is he not exaggerating? 1. 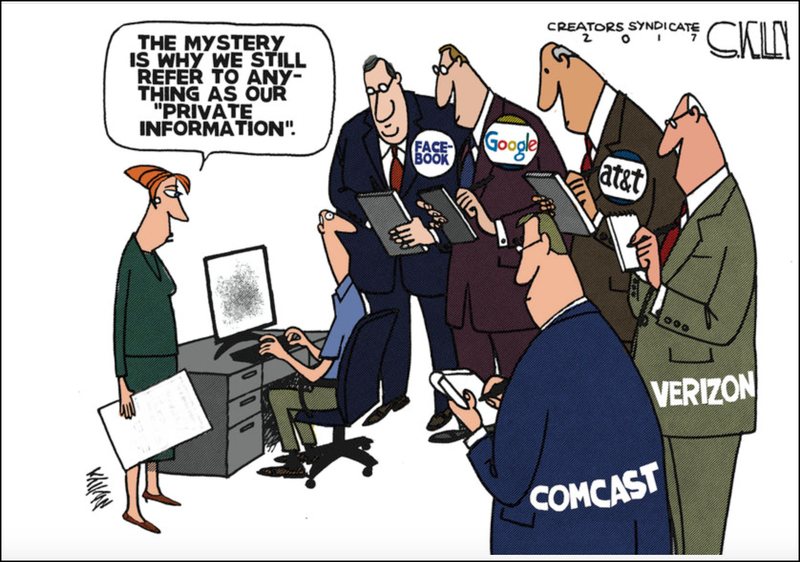 Cartoonist Steve Kelley is exaggerating the method Facebook, Google, and internet providers use to acquire information about you to sell to advertisers. They don’t actually have people standing over your shoulder writing down everything you do online. But their tracking methods acquire the same information. Nothing you do online is private.